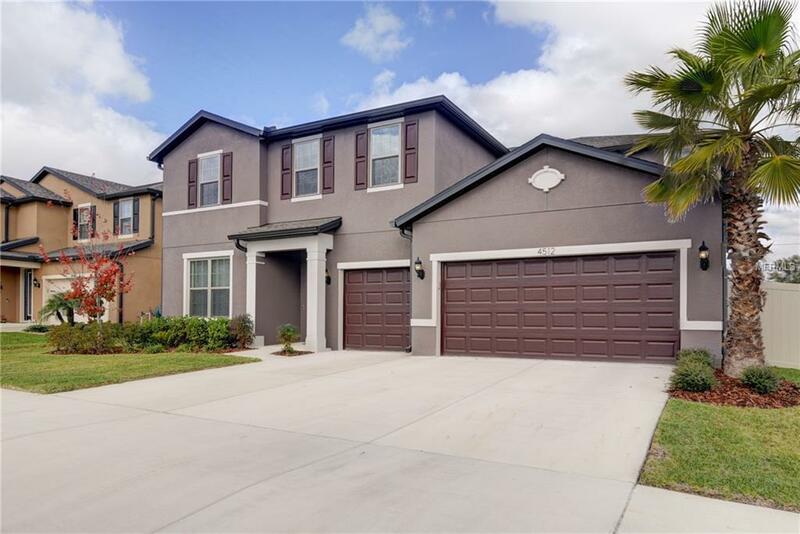 Spacious newer construction home in Valrico Florida. Why wait for new construction when you can move in now. This newer home and community were built in 2017. Features include 3 car garage, energy efficient Low-E dual pane windows, irrigation system, upgraded tile and interior doors. Walking into the house you are welcomed with an open foyer which leads into the living/dining/kitchen space. Abundant windows give you tons of natural light and a great view of the lanai and backyard. The walk in pantry will hold enough food to feed the biggest of families. The laundry and mud room that lead to the garage are also accessible through the kitchen. The downstairs area holds one of the 5 bedrooms with a full bath. Second story features include an over sized family room, 3 bedrooms and a private master suite. The master bath has a walk in shower, water closet, and large walk in closet. The backyard has a covered lanai that is ready for entertaining your guest. It is already wired for cable and surround sound speakers. This would be a great starting point if you decide to add a pool to create the ultimate outdoor living space.